Otematata is located in the heart of the Lakes District. It is a great place for fishing, boating, skiing and water lovers. It is a very peaceful location and most relaxing. Our house is a set up to cater for multiple families, it has a large living areas, gas hot water and a fantastic deck to enjoy the sun. With a large yard, off street parking, walking distance to the river and lake, it is the perfect place for family holidays. Smoking allowed outside only. Pet allowed outside only. Awesome property, super well equipped. 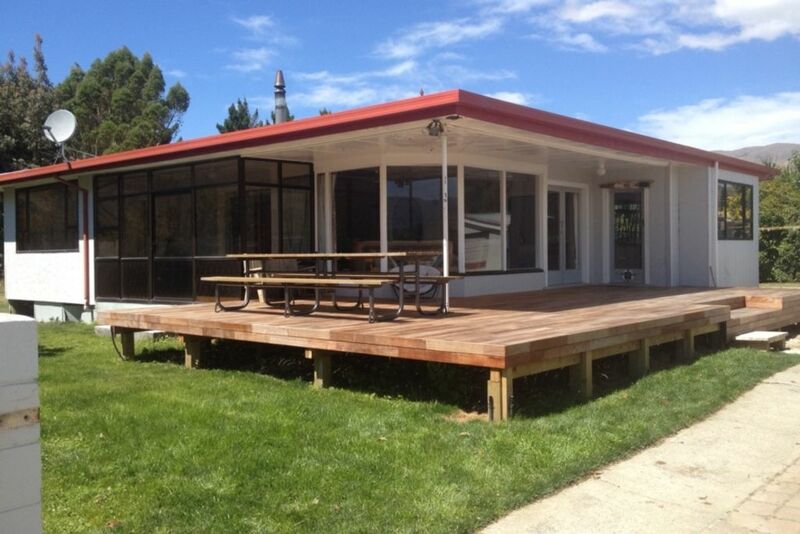 We had a great long weekend at Skyrock, living area is a great size along with decked area getting all day sun. Gas hot water a great benefit after a day on the water. The house was perfect for us… 3x families with 8x children… everyone had beds and kitchen was very well equipped. Although the house could do with a wee bit of work we were very happy staying there and will book again. good place if you are looking for a relaxed family weekend. good place if you are looking for a relaxed family weekend. Well equipped, Pet friendly which is important to us. Bach needs lots of TLC & serious maintanence.